I'm trying out paper-piecing, it is nice to do while watching TV in the evenings. I like all the pastel Kaffe prints that have been released recently. I'm off to the UK soon for a work trip, so I can put this in my suitcase and keep myself busy in the evenings. 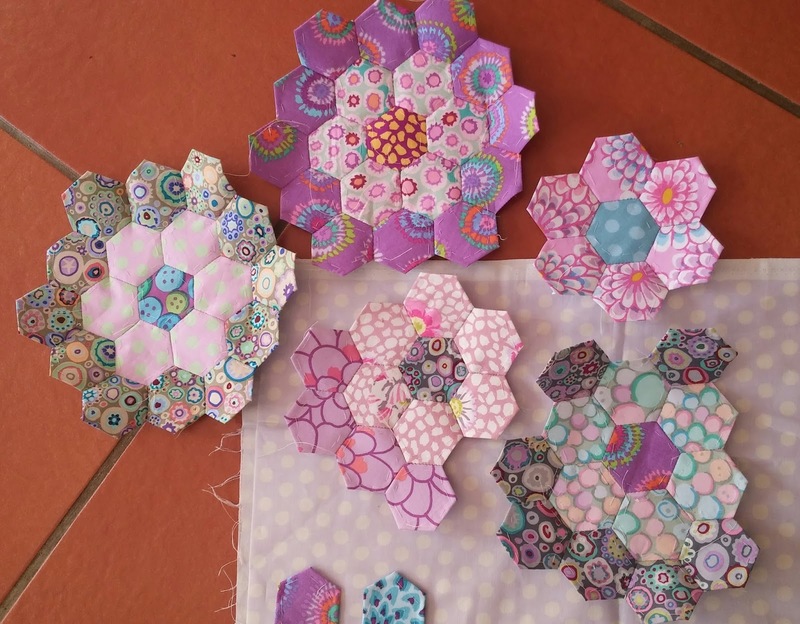 Seeing these beauties with KF fabrics has made want to go and hunt out my hexagon papers (which are in a bag of goodies to sell at Guild) and start cutting! Very pretty! 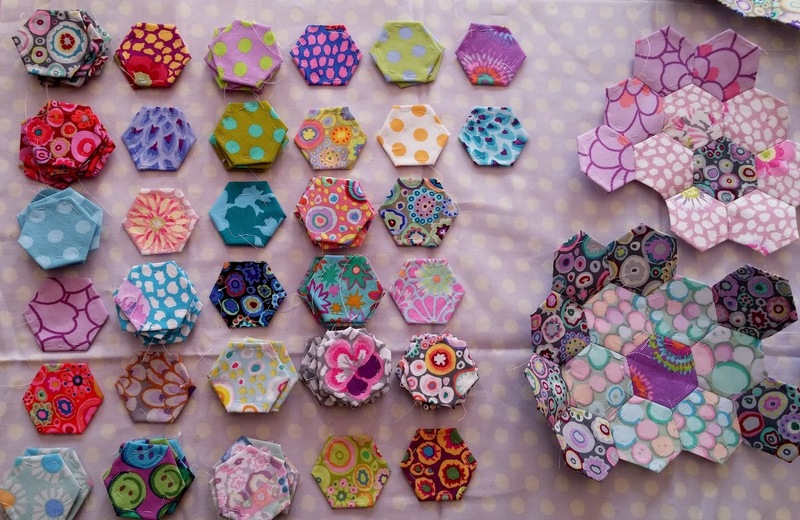 The Kaffe's lend a richness and lots of interest to these hexies. I think EPP is perfect to take when travelling or when one wants to stitch without having to think too much. Your hexagon flowers look promising, but how can they not when made with those lovely KF fabrics ;)?